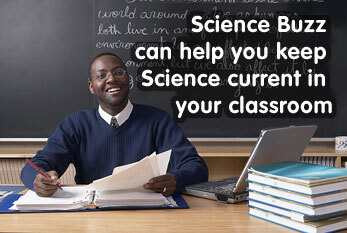 Science Buzz has several unique features that can help teachers integrate the active world of science research into their current classroom practices. The Buzz Blog is a regularly updated community newsletter highlighting current science news, events, and findings. Every entry in the Buzz Blog is categorized in accordance with the State of Minnesota's Science Education Standards. Are you teaching a lesson about the "Flow of Energy," "Human Organism," or the "Scientific World View"? We make it easy for you to track down different stories relevant to your standards-based lesson plans. Science Buzz is experimenting with ways to let visitors talk to us and each other. Your students can easily post their comments, analysis, and local experience, and be part of a discussion that stretches far beyond the walls of your classroom. 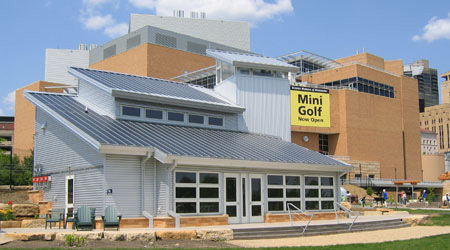 Science House is the teacher resource center located in the Big Back Yard at the Science Museum of Minnesota. 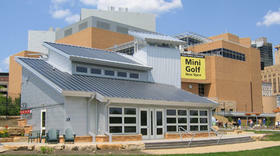 Science House houses over half a million dollars worth of science, technology, engineering and math materials available to teachers in member districts across Minnesota. Check out our Teacher Journal to read about what kinds of activities other teachers have done with Science House materials, and discuss your activities with other members of the Science Buzz community.